I have lived in WV for two years, maybe three (I have lost count), and it hasn’t been the easiest adjustment. I knew only a few people when I came up, and missed my friends and family back in SC. I also moved from less than a mile from the ocean in SC to WV. Was it worth it? As an adult, it is harder to find a new crew once you move. All I did was go to work, and became withdrawn due to not having a social circle or my own friends. It was suggested that I go on www.meetup.com to find groups that I would be interested in joining. I found swing dancing classes 45 minutes away, and I went to my first class five months or so ago. Started out going once a week, then added a second day, then added longer practices before and after classes, and now I am practicing on off days. I didn’t realize how much I missed dancing. I have been a dancer almost my entire life, up to about six years ago. Just ballet alone-17 years of classes. Even though this isn’t ballet (or any of my other previous type of dance classes), the challenges are the same. 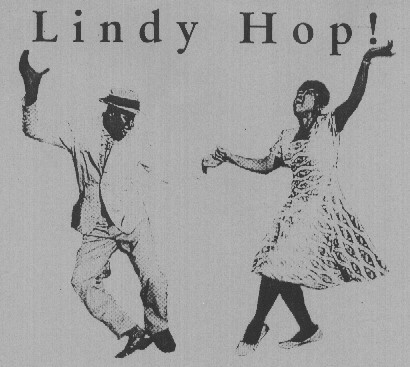 It took me a while to get used to the non-structured ways of Lindy Hop compared to classical ballet. I have met other Lindy Hoppers who are just as quirky, nerdy, odd, intelligent, and socially different – and this eclectic ensemble is what I’ve been trying to find. For the first time in years, I feel like my old self that I left down south. I’m with the WVU Swing Dance Club, and the instructors are just adorable- proof in the photo! I don’t know how other swing instructors are, but Amy and David are really good at teaching complete beginners like myself. Of course they are also very talented dancers. What else have I found since taking classes? 1. It is a huge stress reliever. You can’t very well dance and be stressed at the same time. Dancing makes you smile and laugh, even when you have no idea what you are doing. 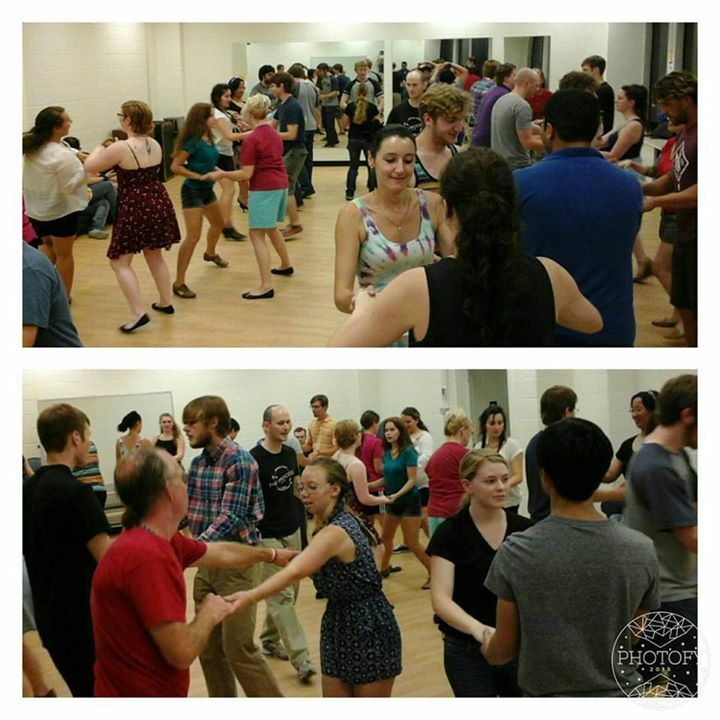 The picture below is a Lindy-in-a-Day workshop we had, where we have a 3.5 hour practice to learn swingouts! Focusing on learning something new helped mute the stress in my life, if only for the time of class. 2. Keeps you moving and great exercise. I have learned the hard way- I cannot go to the gym on Thursday and have three hour practice in the evening! The legs don’t appreciate it just yet. Other than feeling like my true self again, I am getting my dance body back. Things definitely change with age, and swing dancing is a fun way to keep age from creeping up on me too much. Ballet is also very good for keeping toned, and I didn’t appreciate it in my teens and 20’s as much as I should have. 3. No judgement of who you are or your ability to dance. I have found the swing community to be accepting of everyone. All the so-called quirky odd ones and the outgoing introverts (like me!) seem to be drawn into the community. It is a mess of every personality type, and it works beautifully. A lot of people assume that I am shy or really quiet, and that would be an incorrect assumption. I just carefully decide where I want to open up, and I don’t feel the need to hold court in social settings. Swing dancers would love for everyone to learn to swing, and are just as accepting of your dance ability as they are you as a person. It feels really nice to be able to be yourself, well..and to dance. My instructors put videos on YouTube after our Tuesday night classes. The videos go over what we learned in class, so you have something to refer to when trying to remember the steps in your living room. These videos have been such a help, especially after working all day then trying to remember dance moves from earlier in the week. 4. New friends! As I wrote above, finding friends as an adult is not the same as when you were younger. I have always gone to swing dancing class without a partner. I think most everyone in my classes come as a single entity. We switch partners throughout the class, so it doesn’t matter if you came solo or with a partner. I have met people through swing dancing, whom I am happy to have had the opportunity to meet. You already have a common interest with people in your class- learning how to swing dance, and everyone started where you are at one point. It is exciting to realize someone else is just as enthusiastic with moving the furniture and having dance practice for hours. I found that I have other interests with my dance partners along with swing dancing. Prior to starting swing, I found myself going though my days alone…exploring by myself because I didn’t know who would even want to join me on my field trips. If you are new to an area, swing dancing is a very easy way to meet new people and to fill your calendar. 5. You don’t have to just sit and watch the dancers anymore! With my new moves, I am always wanting to go and dance. I used to watch swing dancers, and think how cool it would be to dance like them. It doesn’t take long to learn, and you can be out there dancing away! Not only did the above things happen when I found swing dancing, but my spare time is full of workshops, live bands, and road trips to dances. I really wish I had started this earlier, as it has only improved my life. Those are my few things that I have found changed in my world since starting to swing. I suggest it to everyone. I know the hardest part is going to the first practice, but I promise you will enjoy it.